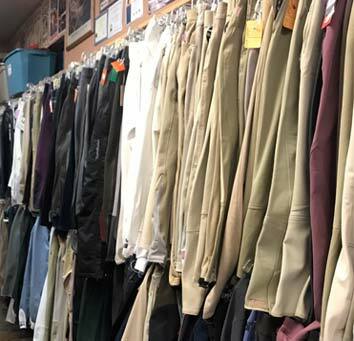 Thrifty Horse Consignment Shoppe has the largest selection of used items anywhere in California. English and Western Show equipment & attire, you are sure to find what you are looking for this competition season. Looking for a new look for this season's shows? Drop by Thrifty Horse put last years stuff on consignment and find great deals on items for this season! Kids outgrew last season's show clothing? Item must be Horse Related. Item must be clean & in good repair. OUR INVENTORY IS EVER CHANGING. THRIFTY HORSE DOES NOT GUARANTEE ALL TYPES OF CONSIGNMENT ITEMS TO BE CONTINUALLY IN STOCK AT ALL TIMES.